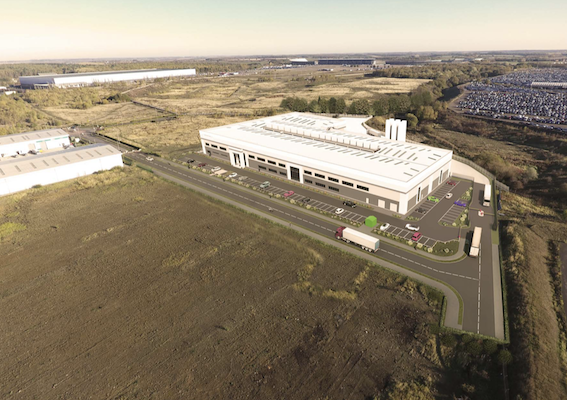 Permission has been granted for a new two-story industrial building at Plot B1, Centrix Park, Phoenix Park Way, Corby. CWC Group won permission for Bakeaway’s new unit on the vacant 2.65 hectare site. The building, which is to function mainly as a manufacturing and production facility with ancillary offices, is to measure 8,629 sqm. It is anticipated that the scheme will create 145 full time jobs. A design statement submitted to Corby Borough Council on behalf of Bakeaway, a manufacturer in the chilled home baking category, reads: “The proposed development will enable Bakeaway Ltd to expand their operations in Corby, ensuring the business can suitably grow without re-locating too far from their current premises within Corby. The proposed unit represents a sustainable expansion of the business into the heart of England. “The proposal seeks to generate a large number of new employment positions within Corby at a range of levels. The direct and indirect benefit of additional employment is a significant economic and social benefit for Corby and North Northamptonshire.